CERTIFIED TURBO 4 SUV -- LEATHER & HEATED SEATS -- SUNROOF & BACKUP CAMERA -- CLEAN CARFAX! CERTIFIED TURBO 4 SUV -- LEATHER & HEATED SEATS -- SUNROOF & BACKUP CAMERA -- CLEAN CARFAX! 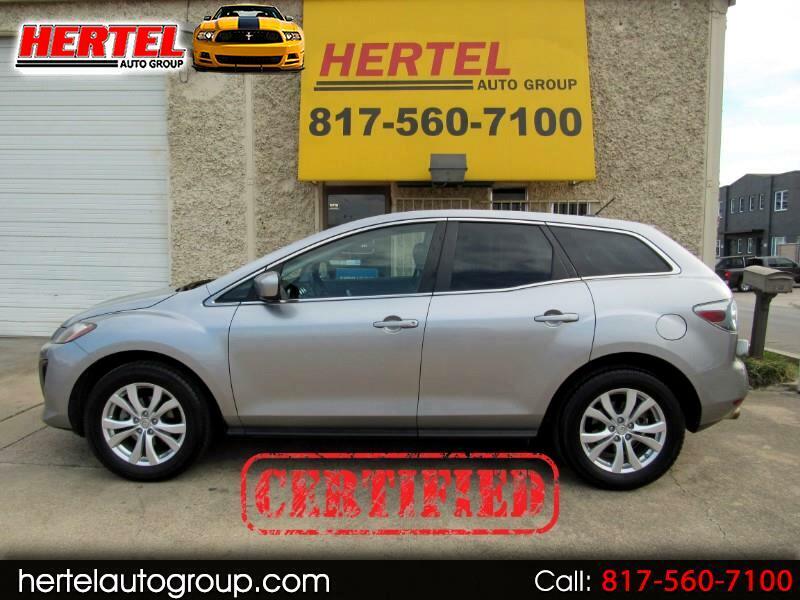 Hertel Auto Group is pleased to offer this very nice and clean, fun-to-drive, well-equipped 2010 Mazda CX-7 Touring FWD SUV for Sale in Fort Worth Texas. Leased new from Hiley Mazda of Hurst Texas in September of 2009, this good-looking, zippy and cute-as-a-bug-in-a-rug Mazda has spent its entire life right here in the North Texas area. If you've been looking for a great vehicle for a new driver; an inexpensive yet not boring daily commuter; or as a step up in technology, equipment, versatility & safety for a growing family, this CX-7 would be a great choice. Whatever your reason for considering it, you won't be disappointed. As part of the 'Zoom-Zoom' stable of vehicles from Mazda that also includes the MAZDA3, the MAZDA6 and the Mazda CX-9, the CX-7 takes the ordinary SUV experience and turns it into something much more fun and zippy to drive. It looks and feels like nothing else out there and is designed for those who like to drive an SUV that doesn't just blend in into the crowd. Equipped with a 2.3-Liter DOHC 16V 4-cylinder turbocharged engine, it had original factory specifications of 244 horsepower and 258 lb ft of torque with an excellent SUV fuel-mileage rating of up to 25 mpg highway. Driving this Mazda truly makes you understand where the 'Zoom-Zoom' marketing approach came from as its power comes on quickly; turning it into an SUV that will add more smiles per mile as well. Mechanically, it starts, runs, drives, shifts and performs exactly like you'd expect it to. For even more peace of mind, this one is Hertel Certified which means it includes an outstanding 90-Day or 4,500 Mile Warranty that covers far more than just the motor and transmission. All four Yokohama 235/60R18 tires mounted on OEM 18" Alloy Wheels are in very good condition. On the outside, this CX-7's rust-free, accident-free body is finished in an appealing Liquid Silver Paint Scheme that is complimented by a Black Leather interior. As a higher-end Touring Model this CX-7's smoke-free interior came loaded up with Leather; Heated Seats; Power Sunroof; Backup Camera; BOSE 9-Speaker CenterPoint Surround Audio System; Steering Wheel Audio Controls; Power Windows, Locks & Mirrors; Cruise Control; Tilt Steering; and more. As with any pre-owned vehicle, it does have the usual amount of cosmetic imperfections that are inherent to a vehicle of this age and mileage. We invite you to view all of the photos that are available on our Web Site and determine for yourself if it meets your expectations for a vehicle of this age and price. If it does, we then welcome you to stop by for a viewing and test-drive of this clean 2010 Mazda CX-7 s Touring FWD SUV. Given its ownership history, condition, equipment and mileage, we've priced it fairly in the marketplace and expect it to sell quickly. Don't let it pass you by! Certified Plus Coverage includes major components of the Engine and Transmission, as well as A/C Compressor; A/C Condenser; A/C Evaporator; Radiator; Water Pump; Thermostat; Alternator; Starter Motor; Power Steering Pump; and more. Service Work can be done at any Mazda Dealership or ASE-Certified Mechanic. See Dealer for More Details & Upgraded Coverage Options!